Less Din, More Zen: A Secret Garden Above I-10 Creates a Cocoon of Placidity in Downtown Phoenix. When you think of Phoenix, a Japanese garden isn’t the first (or fifth) thing that comes to mind. 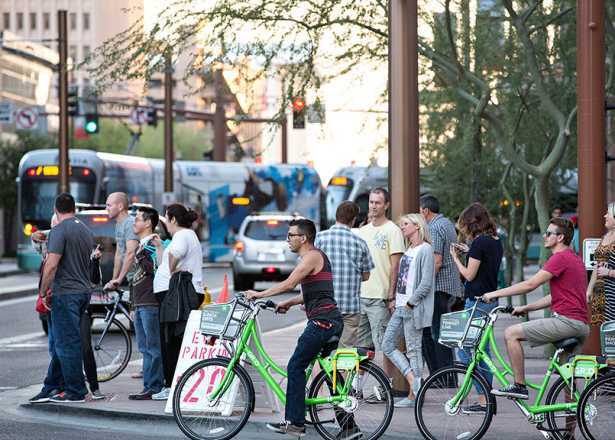 But the city has one—a startlingly peaceful one—and its 3½ acres are so well hidden that many longtime Phoenix residents don’t know of its existence. But I do, and I’m thankful for that knowledge as I extricate myself from Friday-afternoon traffic on Interstate 10 and point my car to the garden’s entrance. Once there, it doesn’t take long for the place to begin working like a balm on my jangled nerves as I’m transported from the rush-hour snarl to a serene Japanese woodland. I exhale. I can still hear the faint sound of traffic from the interstate—the garden is built directly over a section of the I-10—but the bustle of the city feels a world away. 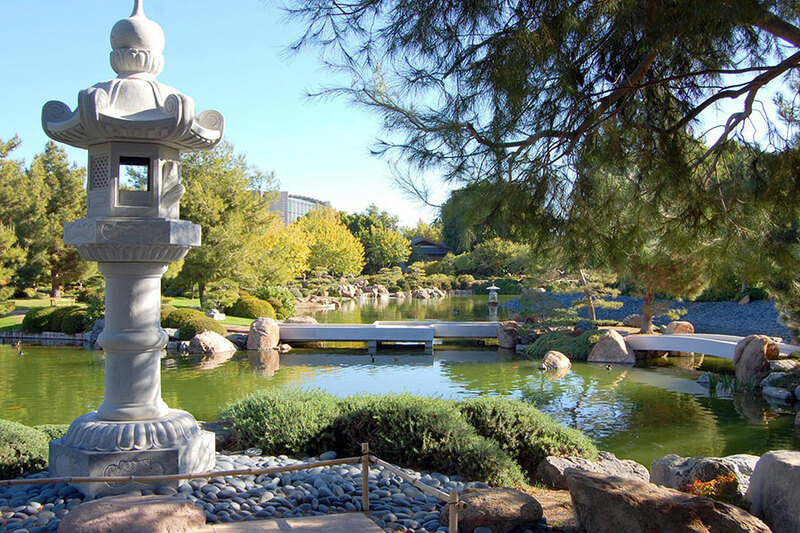 Named Ro Ho En—Ro is Japanese for heron, Ho means Phoenix bird, and En is garden)—the Japanese Friendship Garden of Phoenix started as a sister-city joint project between Phoenix and Himeji, Japan, in 1987. Fifty architects from Japan made more than 60 trips here to built it. On this late-February day, as I stroll the grounds using a self-guided-tour brochure, I note there are four varied terrains, all found in Japan: grasslands, forested mountains, stone beach and woodlands. I recognize plum trees, evergreens and maples. A docent named Debra tells me an all-volunteer landscape crew keeps the garden pristine. She points out that there are no flowering cherry trees because they don’t do well in Arizona, but in a few weeks the pear trees will bloom. Open during the milder months from September through May, the Japanese Friendship Garden is a lovely respite from the pace of the city. The garden is a frequent backdrop for weddings and attracts lots of plein air painters. It also hosts sake and sushi tastings, workshops on the art of Japanese flower arranging, and demonstrations on how to wear a kimono. 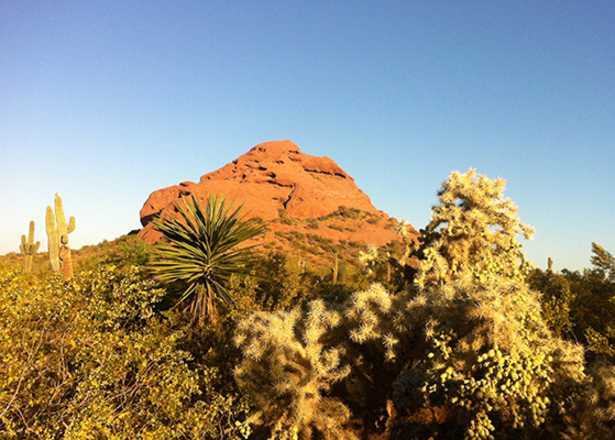 Every spring, the garden teams with the Arizona Puppet Theatre to create a children’s day. Feeding the fat koi fish is a perennial favorite for kids and adults alike. I encounter a young mother by the pond, her two children tossing out fish food to the gaping mouths gathered at the water’s edge. I nod and smile at her. “It’s as if they were under a spell,” she says of her kids. She’s from Chicago, visiting family. She says her son’s ADD seems soothed by the setting, and she’s grateful for the peaceful break from an overscheduled day. Perhaps the most popular activity at the garden is the once-a-month tea ceremony held in an intimate wooden antique teahouse. The traditional ceremony—presented by kimono-clad servers—is a choreographed ritual of preparing and serving matcha (green) tea. Attendance is limited, and reservations are required. I’ve not yet been to the tea ceremony. Another day perhaps. On this day I’m content to sit in the shade and decompress. I end up passing a peaceful hour in the garden. I could have stayed longer, had I not had another appointment to get to. But it’s enough to know that this sanctuary exists. All of us need a Zen break from time to time. 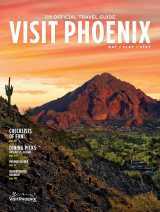 For one Phoenix transplant, visiting the Desert Botanical Garden is a life-balancing ritual.